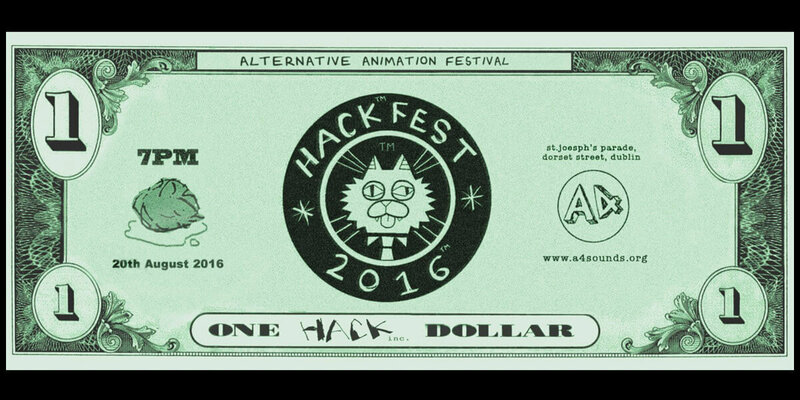 The Dublin based alternative animation festival for industry troglodytes. we put on a bunch of films and have cans or a latte as we do now since we also became a business earlier this year. Brought to you by the good people of HACK inc. (who are a business who make art) HACKfest is about being creative and makin stuff and enjoying making it. Throw something together for the occassion, Give us an auld one you've got knockin around or yer latest baby.